"Beharry" redirects here. See also Bihari. Lance Sergeant Johnson Gideon Beharry, VC, COG (born 26 July 1979) is a British Army soldier who, on 18 March 2005, was awarded the Victoria Cross, the highest military decoration for valour in the British and Commonwealth armed forces, for saving members of his unit, the 1st Battalion Princess of Wales's Royal Regiment, from ambushes on 1 May and again on 11 June 2004 at Al-Amarah, Iraq. He sustained serious head injuries in the latter engagement. Beharry was formally invested with the Victoria Cross by Queen Elizabeth II on 27 April 2005. 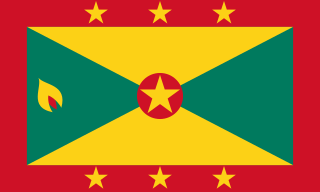 The Order of Grenada is an order of chivalry and a society of honour instituted by Queen Elizabeth II in right of Grenada through the National Honours and Awards Act which having been passed by the House of Representatives of Grenada on 16 November 2007 and passed by the Senate of Grenada on 27 November 2007 received Royal Assent on 31 December 2007. Catterick Garrison is a major garrison and military town three miles (4.8 km) south of Richmond, North Yorkshire, England. 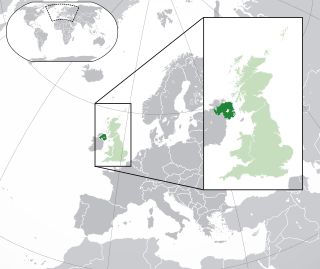 It is the largest British Army garrison in the world with a population of around 13,000 in 2017 and measuring over 2,400 acres. Under plans announced by the Ministry of Defence (MoD) in November 2005, the population of Catterick Garrison was expected to grow to over 25,000 by 2020, making it the largest population centre in the local area. The General Service Medal, is a campaign medal of the United Kingdom introduced in 1962 to combine the General Service Medal (1918), as awarded to the Army and RAF, and the Naval General Service Medal (1915). The 1962 GSM was awarded until 2007, when it was replaced by the Operational Service Medal. 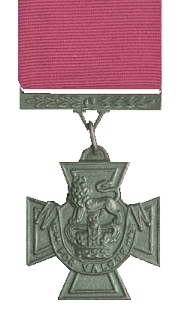 In 2015 the General Service Medal (2008) was introduced. While back on duty on 11 June 2004, Beharry was again driving the lead Warrior of his platoon through Al Amarah when his vehicle was ambushed. A rocket propelled grenade hit the vehicle six inches from Beharry's head, and he received serious shrapnel injuries to his face and brain. Other rockets then hit the vehicle, incapacitating his commander and injuring several of the crew. Despite his life-threatening injuries, Beharry retained control of his vehicle and drove it out of the ambush area before losing consciousness. He required brain surgery for his head injuries, and he was still recovering in March 2005 when he was awarded the Victoria Cross. In the early hours of May 1, 2004 Beharry's company was ordered to replenish an isolated coalition forces outpost located in the centre of the troubled city of Al Amarah. He was the driver of a platoon commander's warrior armoured fighting vehicle. His platoon was the company's reserve force and was placed on immediate notice to move. Having returned to duty following medical treatment, on June 11, 2004 Beharry's warrior was part of a quick reaction force tasked to attempt to cut off a mortar team that had attacked a coalition force base in Al Amarah. As the lead vehicle of the platoon he was moving rapidly through the dark city streets towards the suspected firing point, when his vehicle was ambushed by the enemy from a series of rooftop positions. On 30 April 2010 Beharry visited Duke of York's Royal Military School to take the salute at Parade and to present the Baroness Thatcher Sword of Honour to the JUO of the winning Guard at Drill Competition. The Sword of Honour was first presented by Baroness Thatcher the previous year. He took time to talk to pupils on Parade and visited the boys of Roberts House. On 1 June 2012 Beharry was promoted to corporal and moved to a public relations role with the Household Division. He therefore currently holds the appointment of lance sergeant, as do all corporals serving in the Household Division. From 9 January to 20 March 2011, Beharry competed in the 2011 season of Dancing on Ice . He was partnered with Canadian ice skater, Jodeyne Higgins. He reached the semi-finals, broadcast on 20 March 2011. On 28 October 2016 Beharry appeared on the BBC Cookery show Great British Menu where he, along with other recipients of honours from Elizabeth II were guests at a banquet honouring Great Britons which have been awarded honours such as OBEs and CBEs under Queen Elizabeth II's reign. ↑ Including one living holder of the Victoria Cross for New Zealand, Willie Apiata, and three living recipients of the Victoria Cross for Australia, Mark Donaldson, Ben Roberts-Smith and Daniel Keighran. 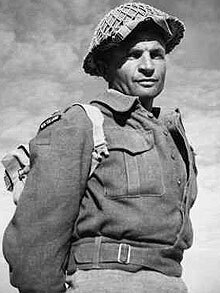 Charles Hazlitt Upham, was a New Zealand soldier who earned the Victoria Cross (VC) twice during the Second World War; in Crete in May 1941, and at Ruweisat Ridge, Egypt, in July 1942. He was the most recent of only three people to receive the VC twice, the only one to receive two VCs during the Second World War and the only combat soldier to receive the award twice. As a result, Upham is often described as the most highly decorated Commonwealth soldier of that war, as the VC is the Commonwealth's highest award for gallantry in the face of the enemy. Peter John Badcoe, VC was an Australian recipient of the Victoria Cross, the highest award for gallantry "in the face of the enemy" that can be awarded to British and Commonwealth forces. Arena is an active protection system (APS) developed at Russia's Kolomna-based Engineering Design Bureau for the purpose of protecting armoured fighting vehicles from destruction by light anti-tank weapons, anti-tank guided missiles (ATGM), and missiles with top attack warheads. It uses a Doppler radar to detect incoming warheads. Upon detection, a defensive rocket is fired that detonates near the inbound threat, destroying it before it hits the vehicle. Ian John McKay, VC was a British Army soldier and a posthumous recipient of the Victoria Cross, the highest award for gallantry in the face of the enemy that can be awarded to British and Commonwealth forces. Edward Colquhoun Charlton VC was an English recipient of the Victoria Cross, the highest and most prestigious award for gallantry in the face of the enemy that can be awarded to British and Commonwealth forces. Arthur Percy Sullivan, VC was a banker, soldier, and an Australian recipient of the Victoria Cross, the highest award for gallantry in the face of the enemy that can be awarded to British and Commonwealth forces. Tul Bahadur Pun was a Nepalese Gurkha recipient of the Victoria Cross, the highest award for gallantry in the face of the enemy that can be awarded to British and Commonwealth forces. He later achieved the rank of Honorary Lieutenant. In addition to the Victoria Cross, Pun was awarded 10 other medals, including the Burma Star. George Thompson VC was a Scottish recipient of the Victoria Cross, the highest and most prestigious award for gallantry in the face of the enemy that can be awarded to British and Commonwealth forces. Maurice Albert Wyndham Rogers, VC, MM was a British Army soldier of the Second World War and a recipient of the Victoria Cross, the highest award for gallantry in the face of the enemy that can be awarded to British and Commonwealth forces. Gaje Ghale VC was a Nepalese Gurkha recipient of the Victoria Cross, the highest and most prestigious award for gallantry in the face of the enemy that can be awarded to British and Commonwealth forces. Major Brian R. Chontosh is a retired United States Marine Corps officer who was awarded the Navy Cross for his heroic actions during the 2003 Invasion of Iraq. At the time, he was a platoon leader for Weapons Company, 3rd Battalion, 5th Marines, 1st Marine Division. Bryan James Budd, VC was a British Army soldier and a Northern Irish recipient of the Victoria Cross, the highest award for gallantry in the face of the enemy that can be awarded to British and Commonwealth forces. Bill Henry "Willie" Apiata, VC is a former corporal in the New Zealand Special Air Service, who became the first recipient of the Victoria Cross for New Zealand. He received the award on 2 July 2007 for bravery under fire during the War in Afghanistan in 2004, in which he carried a gravely wounded comrade across a battlefield, under fire, to safety. A Combined Anti-Armor Team (CAAT) is an organization of a United States Marine Corps weapons company where one or more platoons are operated in a detached role to combat ground armored vehicles and air defense vehicles with heavy weapons systems. CAATs often use weapon systems such as M2 .50 caliber machine guns, Mk-19 grenade launchers, and anti-armor missile systems such as BGM-71 TOW missiles and/or FGM-148 Javelins. Victoria Cross Heroes is a three-part television UK docudrama recipients first broadcast by Channel 5 in 2006 that tells the stories of some of the recipients of the Victoria Cross. The Type 85 is a tracked armoured fighting vehicle produced by Chinese company Norinco. It is an improved version of the Type 63 armoured personnel carrier. The vehicle is bigger, has additional firing ports and periscopes, a longer chassis with an additional road wheel on each side, and is equipped with an NBC protection system. The Type 90 is an armoured fighting vehicle produced by Chinese company Norinco; it is the successor for the Type 85 AFV of which it uses some components. The Type 90 series was developed for export, and consists of at least 10 different types; its industrial index is YW535. Mark Gregor Strang Donaldson, is an Australian soldier and a recipient of the Victoria Cross for Australia, the highest award in the Australian honours system. Then Trooper Donaldson was a member of the Special Air Service Regiment (SASR) when he exposed himself to enemy fire to protect injured troops and then rescued an interpreter under heavy enemy fire in the Battle of Khaz Oruzgan during Operation Slipper, the Australian contribution to the War in Afghanistan. He was presented with the decoration by the Governor-General of Australia, Quentin Bryce, in a ceremony in Canberra on 16 January 2009. On 25 January 2010, Donaldson was named the 2010 Young Australian of the Year. He was promoted to corporal in June 2010. James Thomas Duane Ashworth, VC was a British soldier and posthumous recipient of the Victoria Cross, the highest award for gallantry in the face of the enemy that can be awarded to British and Commonwealth forces. He was killed in Afghanistan on 13 June 2012 as he led his fire team in an attack on an enemy-held compound. The award was gazetted on 22 March 2013, having been confirmed by the British Army earlier in the week. Ashworth is the 14th recipient of the award since the end of the Second World War. ↑ "Guests at VC hero Johnson Beharry's secret wedding ordered to surrender phones". London Evening Standard. 18 March 2013. ↑ "Private Johnson Gideon Beharry – Victoria Cross" Archived 18 March 2005 at the Wayback Machine , Ministry of Defence (United Kingdom), 18 March 2005. Retrieved on 10 January 2010. ↑ As a serving soldier with more than 5 years service, Cpl Beharry would have been entitled to this medal on its regular eligibility criteria. ↑ "No. 62078". The London Gazette . 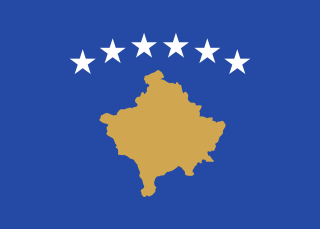 11 October 2017. p. 18918. ↑ "No. 57587". The London Gazette (Supplement). 18 March 2005. pp. 3369–3370. ↑ "Private Beharry's Victoria Cross citation". 18 March 2005. Retrieved 5 November 2016– via The Guardian. ↑ Service marks lost WWI generation, BBC, 11 November 2009. Retrieved 11 November 2009. ↑ Taylor, Matthew (17 May 2010). "Depressed war hero tried to end life after service in Iraq". The Guardian . Retrieved 11 February 2014. ↑ VC hero Beharry made a corporal The Sun, 31 May 2012. ↑ "A hero's journey: Victoria Cross winner carries Olympic Torch through National Memorial site to mark Armed Forces Day". dailymail.co.uk. Retrieved 5 November 2016. ↑ "VC war hero given honorary degree". 22 July 2011. Retrieved 21 June 2018– via www.bbc.com. ↑ "Summer graduation inspires a new generation of Sussex graduates" . Retrieved 21 June 2018. ↑ "Sir Michael Caine receives Freedom of the Borough of Southwarl". Southwark Council. 14 May 2012. Retrieved 1 June 2016. ↑ "The Freedom of the Borough of Southwark". Flickr . Retrieved 1 June 2016. ↑ Cumber, Robert (17 September 2014). "VC hero Johnson Beharry says Hounslow will always feel like home" . Retrieved 21 June 2018.